– Charla is giving Bekilynne a run for her money as the most awesome girl I know. – I didn’t know that double dog dares worked with anyone over the age of 8. – I MUST own those pink shoes she wore for the race. – How much did alcohol play a part in Charla’s decision to run in jeans? – If Dan says that you look awesome, I secretly hate you for a moment. – What if running in jeans made everyone faster? Try it, People. And get pictures. – Am I being a hypocrite for not at least trying this jean-wearing jogging thing? We are all looking forward to the rest of the story. Get writing, Charla! – How bad was the chafing? – What would Charla have done if triple dog dared? Perhaps denim tuxedo? It’s coming! It’s coming! So glad you’re back. I am convinced everyone should try this once, but not for the reasons I would have guessed. More on that soon. Tiffany, if a denim tuxedo had been on hand and a triple dog dare had been thrown down, I would have been running to the prom. Jill, regarding a double dog dare’s effectiveness beyond the age of eight… well, dare I say you failed to consider the source? “- Am I being a hypocrite for not at least trying this jean-wearing jogging thing” — YES!!!!!! Amen. Time to take the plunge, Jill. 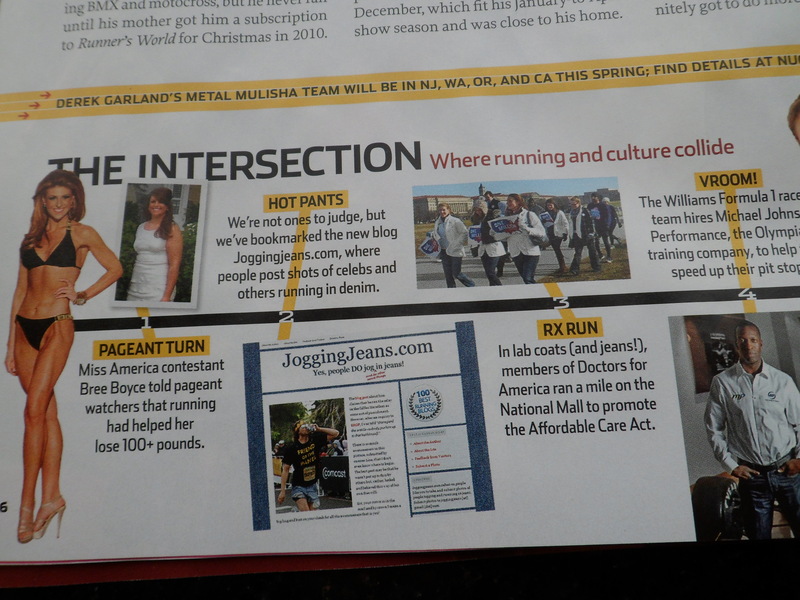 Yes Jill… you need to run in jeans! 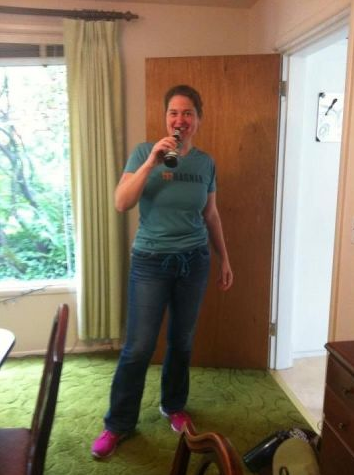 A ragnar in jeans – the WHOLE TIME, Charla? that is very impressive! No way! Just my first leg – also my shortest and flattest leg. Explanation coming soon.